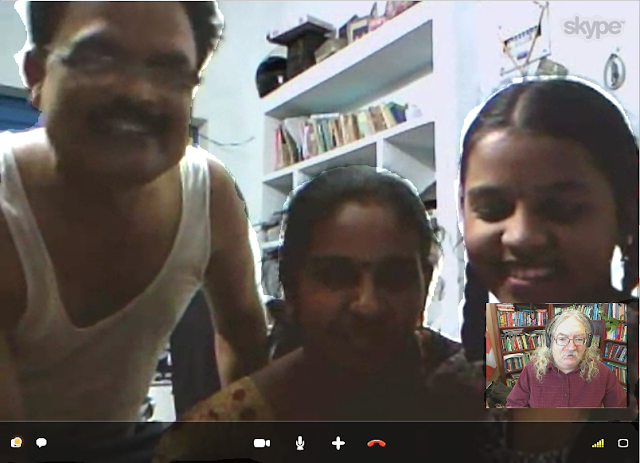 Sandesh Pulijala called me this morning and introduced me to his wife and daughter, so I thought I would capture an image. Because of the backlighting, I have brightened the people in the image so you can see their faces. Maybe NB Worksafe shouldn't be sponsoring riot videos...? Photos from my visit to Oslo, Norway, the week of November 12-18. I really liked Oslo and met many interesting people there, though I found it extremely expensive and a bit cold and dark. Still, the lighting made for interesting photos, the cold was nothing I wasn't used to, and I found a kabob place that sold a great filled pita that made a meal and a half for 49 Kroner. Book, originally uploaded by Stephen Downes. So one day I went for a bike ride and took some pictures of Memrambook. I posted them online for all to share, and one day, got an email asking if my photo could be used on a book cover. And - of course it could! The published book, by Fernand Arsenault, arrived today, with my photo on the cover. So cool. 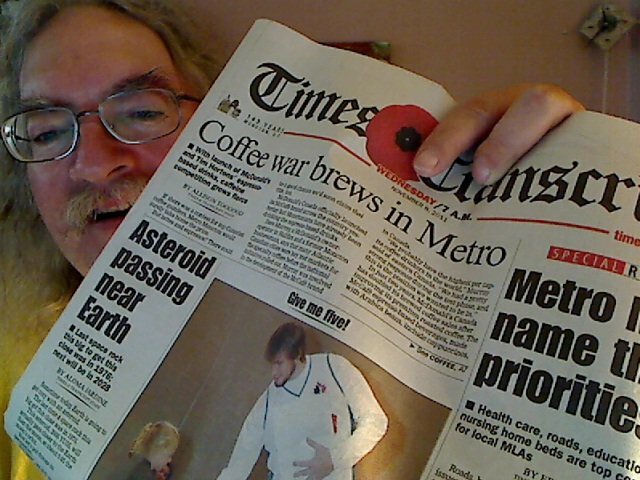 Our local newspaper, ever the paragon of quality, puts the wrong day on today's newspaper. Tuesday November 8, 2011 is labelled, as you can see, as "Wednesday". Moncton, originally uploaded by Stephen Downes.